NO DRUGS! NO BULLIES! NO EXCUSES! 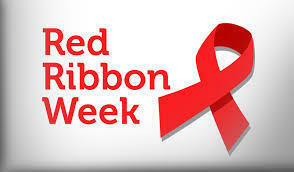 Monday - Kick off to red ribbon week - Everyone wear red! Tuesday - Dress for Success! Stay drug free and you will succeed! Thursday - Leadership Spirit Day - Lead the way with Clarke Gear toward a drug free life!